You never know what you’ll get for weather in Spring here in New York. We’ve had years where there was snow on the ground on Easter, and heat so intense that we’re in shorts and tee-shirts in the middle of March. So you always need to be ready for anything. Since having kids, that also means having a plan b if the weather doesn’t cooperate with our plans. This is why Beezer Playhouses is the perfect fit for us – for any weather! Beezer Playhouses was started by Ben and Julie – a couple who wanted to help kids develop creative skills while having fun. They also wanted to use the playhouses as a way to give back to the community – they have donated playhouses to their local hospitals, as well made contributions to St. Jude’s. They have partnered with Rise Incorporated, a company who is dedicated to community inclusion and self-sufficiency for people with disabilities, to assemble and ship our products. The playhouses are also 100% recyclable. Ben and Julie are truly a couple who have children, the community and the environment in mind in their business practices. We received The Cottage playhouse for review and as soon as the big box landed on our doorstep, my oldest couldn’t contain his excitement! He was so excited at the prospect of helping his father build the cottage over the weekend. Once Saturday rolled around, building the playhouse was at the top of our agenda. 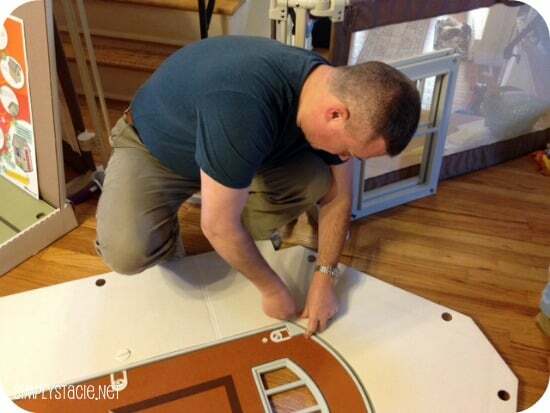 My husband had no problem following the illustrated instructions included with the playhouse, and he found it easy to work with the “Beezerbits” connecting pieces. The initial set-up time was about 20 minutes, and another 10 or so decorating the cottage to Matthew’s liking with the decals that are included. Once assembled, both my boys had a blast playing in the cottage. Both seemed to be most intrigued by the fact that you can lock the front door! Measuring 42” wide, 45” deep and 60” tall, the cottage is a good size for multiple children (at one point, all four of us were in there!). When we were done playing for the weekend, the cottage came down very easily and we put the pieces back in the back for storage. When we’re ready to play again, the next set-up should only take a few minutes now that all the “Beezerbits” are in place and ready to connect. My oldest is already asking when we’re going to build the house again! You can find out more about Beezer Playhouses on their website. You can also follow them on Facebook and Twitter. The Cottage retails for $149.99, and you can buy right from their online store. 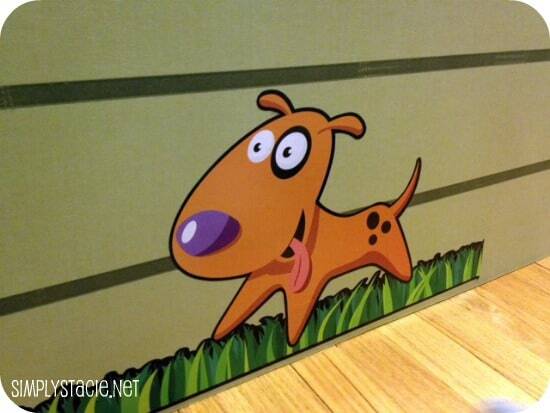 I learned that these are great for day care centers under the idea section! Beezer bits make set-up and tear down a snap!! Second, I learned that this is a combined effort of Ben and Julie to inspire creativity while also giving back to the community. I love the concept of these houses. 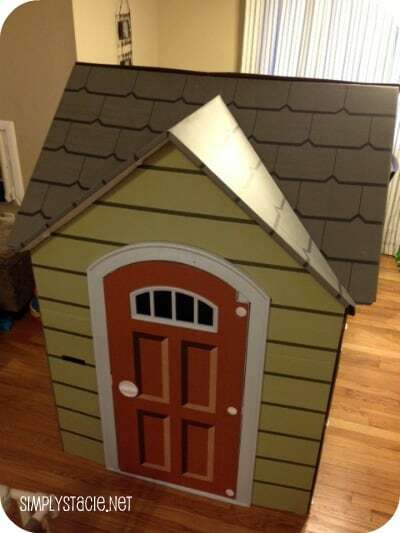 Beezer Playhouses are 100% recyclable. I would really like to have the firehouse, which is coming later this year. 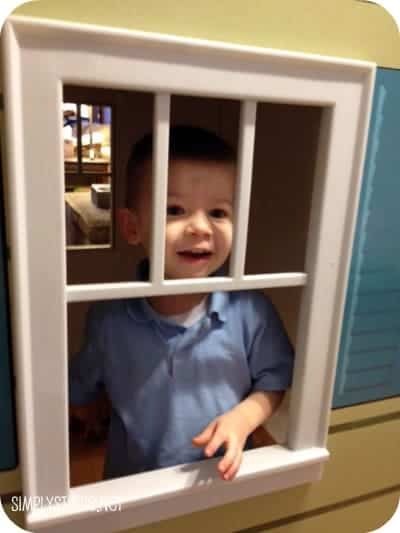 I learned that they give back t0 the community through playhouse donations to local hospitals and contributions to St. Jude’s Children’s Hospital. I love that they are recyclable! 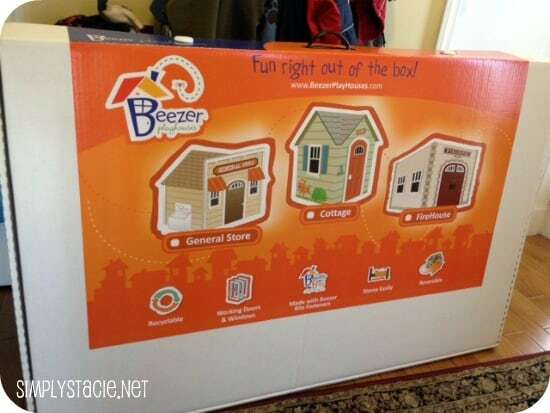 I like that Beezer’s Playhouses are 100% recyclable. Learned…Julie has 8 years of experience as a critical care nurse and is now pursuing a career as a nurse anesthetist. i learned the general store and fire house are coming soon! I learned that Ben and Julie founded Beezer Playhouses with the goal to help kids develop creative skills that will last a lifetime . They donate playhouses to St.Judes. They give back to St. Judes. Thanks!! I learned that there is a Fire House coming in 2012! I know 2 boys who will flip for that! You can buy replacement parts. Which makes this very convenient for my destructive children. I like that they are made of recyclable materials! I learned they have a firehouse and general store coming this year. Doors and windows really work! I learned they have a General Store coming out this year, and it’s pretty cute, to be sure! 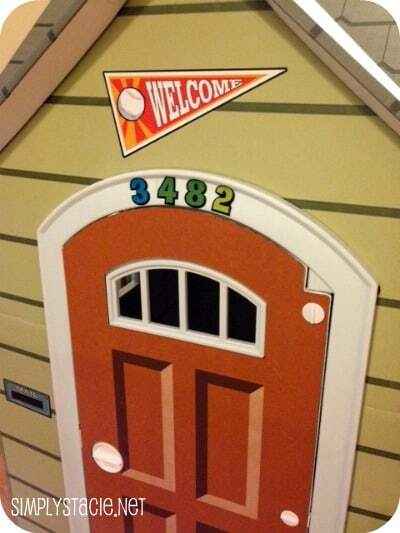 The creators of Beezer Playhouses developed them so that kids could express their creativity… which is wonderful! Thanks! I learned that they have a General Store coming soon. They have a firehouse coming this year. I have been trying to order the barn playhouse from this company. It will show the barn but won’t let me order. I think it is an old website or something. We are putting together an indoor play space for children and I really like the barn. Couldn’t see any general store or firehouse, but they sound great! Do you have any information on how to purchase these?